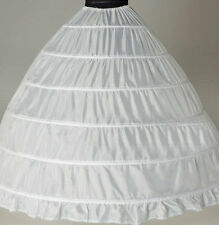 6 HOOP Ball Gown. 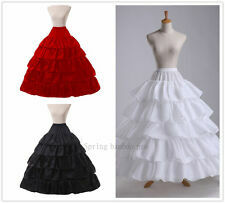 ·Silhouette Ball Gown. ·Steel Ring 6 Hoop. ·Circumference of Bottom Hoop 137" [Approx350 cm] (Reducible). We are specializes in designer and custom made wedding, party and evening wear and related accessories many years. We are specializes in designer and custom made wedding, party and evening wear and related accessories many years. I like to give as much information as possible about the item. Material: 3 Layer Net with One Layer Linning. We are specializes in designer and custom made wedding, party and evening wear and related accessories many years. I like to give as much information as possible about the item. Color: Black. 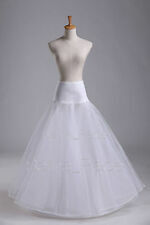 We are specializes in designer and custom made wedding, party and evening wear and related accessories many years. I like to give as much information as possible about the item. Color: White. We will dispatch your order within 24 working hours;. We are specializes in designer and custom made wedding, party and evening wear and related accessories many years. I like to give as much information as possible about the item. StyleChemise/Full Slip. David’s Bridal Fit and flare slip women’s size 4 never worn and in bag. size 10 EUC full slip. EUC size 10 slip but runs small more like a 6/8. No hoop, eight Layers tulle. color: white. We may fold the gown inside out to protect the beading or lacing. If you are not satisfied with the item( including poor quality, not the right size, color etc.). 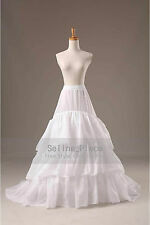 Sweetheart Bridal Slip- Size 10..waist 27"... worn only 2 hours!.great price! 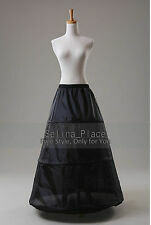 Double skirt of nylon taffeta separated by one 16" row of tulle ruffle at the bottom. Exterior skirt is lace edged. Elastic stretch waist with zipper closure. Worn 2 hours. One hoop, A-line style. color: white. 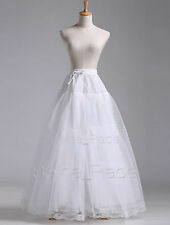 Merry Modes Inc. Ballgown slip Style RA 69120 One size in very good condition. Worn once no flaws. Adjustable tie allows for multiple sizes. Was size 12 when worn. Fit and Flare Slip Size 12. Condition is New with tags. Shipped with USPS Priority Mail.